Evaluating what types of energy are sustainable is not a simple task. 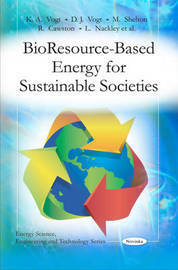 The entire life cycle of each energy source must be considered before it can be classified as sustainable. Within each life cycle there exist multiple indicators that should be included. Each of these indicators may impact or modify some phase of an energy source's life cycle that effects whether it is truly sustainable. An approach for analysing current energy technologies and their appropriateness to be considered sustainable is the focus this book. Since the most recognised examples of sustainable technologies using renewable resources are wind power, biomass, and solar, these are the primary focus of this assessment.